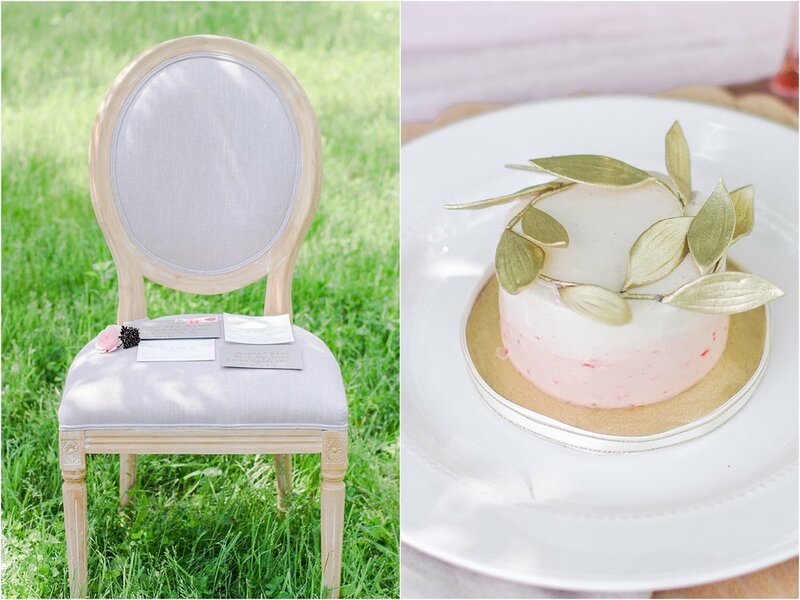 Light, spring tones of pink and green along with gold accents were the inspiration for this beautiful and intimate wedding shoot held at the lovely Bieker Farms in Grand Rapids, MI! These two, with their individual mini cakes at every place setting and their contagious smiles, are featured on the blog today! Everything from the colors to the style of the bride and her groom themselves speaks of a classic and elegant event. I met this amazing couple through the very talented boss ladies over at The Bloom Workshop including the crazy talented stylist, Michaela Noelle Designs! I was honored to capture these stunning details as well as the sweet, romantic moments between this bride and groom couple. 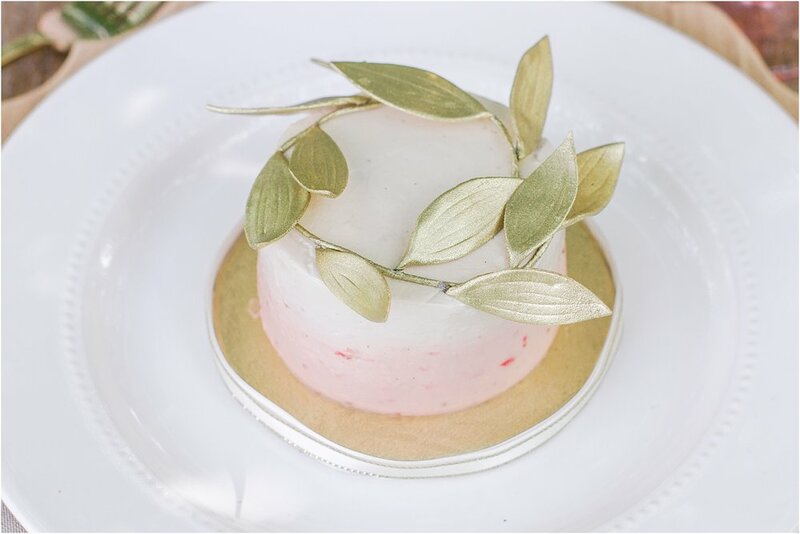 I have been dreaming of all these uh-mazing details all year from the exquisite little cakes from Sweet Heather Anne with their blush bases and gold foil flowers to the feminine array of cocktails that completed the rustic table scape! I loved the mix of soft pink roses and white blooms seen in the bride’s bouquet by The Day's Design, and I think the arrangement is a perfect combination of classic romance and organic. Also, can we talk about the amazing greenery running down the center of the table and trailing off the end! So dreamy! I hope you enjoy all this pretty wedding inspiration coming your way!! Special thanks to The Bloom Workshop! 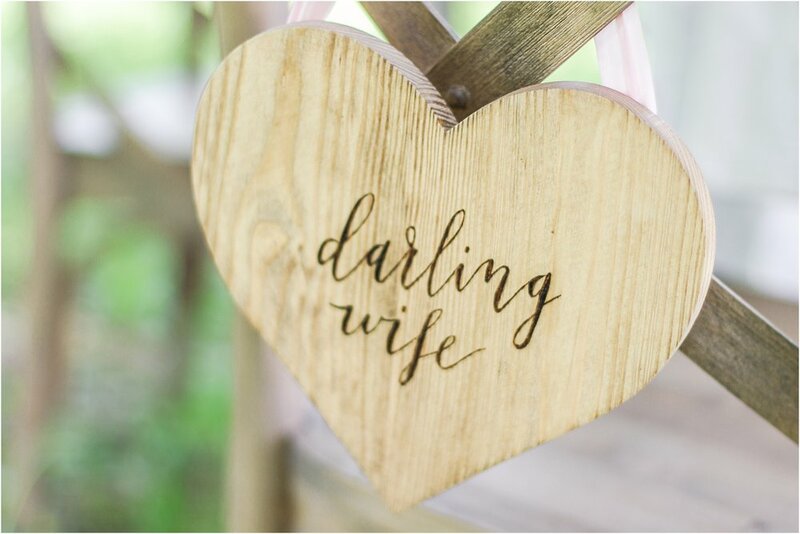 Did you enjoy something about this wedding shoot?! Did something about this story speak to you? I'd love to hear your thoughts and read your comments below! I want to thank you all so much for participating in my community and joining in on the online conversation. If you would like to share what you've read, please use the share button below!